There is an ongoing debate about when the books of the Old Testament were recognized as Scripture and when, or whether, there was a closed circle of books that were recognized to be inspired by the Holy Spirit prior to the time of Jesus. Related questions include where the additional material found in the Greek translations of books such as Daniel and Esther came from, why it was added, and what this material might indicate about the status of these books. Jason Parry is doing his dissertation here at SBTS under Peter Gentry on “The Character of the Greek Version of Daniel Attributed to Theodotion.” As we corresponded on his prospectus, I asked his thoughts on the deuterocanonical material in Daniel. His reply was so good I asked him if he would reformat it for a blog post, which he graciously did. The arguments for textual pluralism and literary development of biblical texts in Hellenistic Judaism, and for standardization of the text and formation of the Hebrew canon in the second century AD, often seem impressive because much evidence can be cited to demonstrate that the Jews were developing various versions of biblical texts in the period prior to the second century AD. The Old Greek version of Daniel, for example, not only departs significantly from the MT in several chapters, but even inserts an apocryphal side-story right into the middle of the plot in chapter 3. The Greek version of Daniel attributed to Theodotion is much closer to the MT than the Old Greek version, but nevertheless retains this apocryphal story found in the Old Greek. The fact that the translators felt free to deviate from the Hebrew-Aramaic text and to insert apocryphal material could be considered evidence that textual pluralism was in the air and that no canonical boundaries were known to these translators. However, this same evidence could be interpreted differently. It is possible that the translators were well aware of a standard, authoritative version of the text and of canonical boundaries, but felt free to deviate from that canonical text on account of its official preservation at the Temple. The goal of the Temple scribes was to preserve the authoritative textual tradition of the canonical text in its original language, while the scribes and translators outside of Temple circles were free to develop popular alternative versions of the texts which potentially deviated from the original in language, narrative style, and even in some content, with the goal of appealing to the Jewish and Gentile masses. The distinction between the standard canonical text and the popular deviating versions was not subject to confusion in the period prior to the destruction of the Temple in AD 70, since the standard text was in all probability stored at the Temple. The latter explanation of the textual plurality of the Hellenistic period is more probable than the claim of a late date for the standardization and canonization of the text, because it accounts not only for the evidence of multiple versions of texts, but also for the evidence of a canonical consciousness prior to the second century AD. Thus the fact of textual plurality does not necessarily imply a philosophy of textual pluralism among Hellenistic Jews, since they could simultaneously preserve a canonical textual tradition at the Temple while producing accessible and appealing popular texts for the masses. After the destruction of the Temple in AD 70, however, the Jews had to become more intentional about articulating their canonical boundaries and guarding their textual tradition in order to avoid confusion between the two types of texts. 2nd/1st century BC – Diverse Jewish groups, some of whom (like OG-Dan) are interested in popularizing the stories and texts and creating new literature which was loosely connected to the canonical material. Perhaps this reflects a “seeker-friendly” approach to promoting Judaism. Other Jews are more interested in preserving the textual tradition and sticking close to the proto-MT. The official canonical texts are guarded in the Temple so there’s no confusion as to what’s what in any case. Late 1st century BC and early 1st century AD – At least some Jews are editing their Greek texts towards the proto-MT, the prime example of which is the oft-cited Greek Minor Prophet Scroll from Nahal Hever which Barthélemy published and analyzed in Les Devanciers d’Aquila. The scroll can be dated to the 50 BC to AD 50 range. However, there’s probably still a willingness to retain apocryphal (or deuterocanonical) material during this period, which has become popular in the preceding two centuries, and there’s still no confusion as to the official text since the Temple is standing. Theodotion, or at least the Greek version attributed to him, probably belongs to this period. Late 1st century AD and 2nd century AD – Jews as a whole become more intentional about declaring their canonical boundaries and textual tradition since the Temple is lost and the Christians are gaining ground using Jewish writings and Scripture. The Jews discuss their canonical boundaries by asking themselves which books have always been in their canon; these discussions were previously unnecessary because the canonical text had been stored at the Temple. The Temple text presumably is preserved from destruction in AD 70 and is handed down to become what we now call the MT. It is thus possible to account for diversity and even literary development in biblical texts of Hellenistic Judaism without abandoning the long-held belief that our MT for the most part preserves a reliable tradition from before the Hellenistic period. 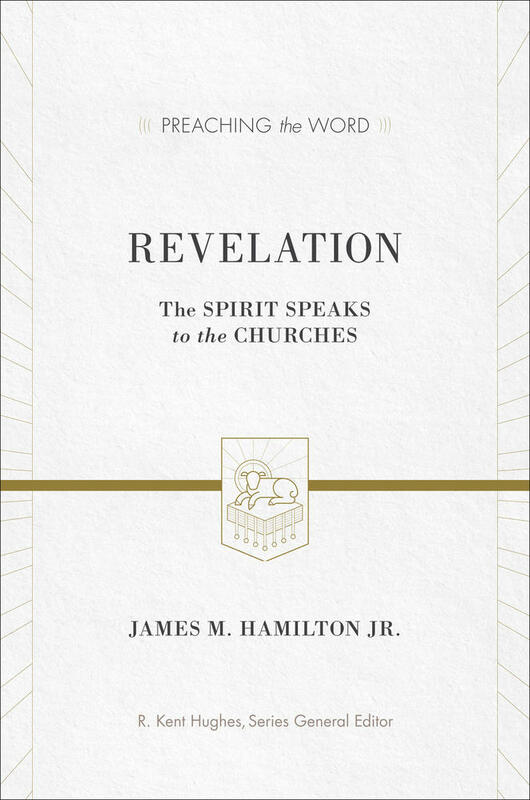 The church was, of course, given its own authoritative interpretation of the Old Testament by Jesus and the apostles, but since Christianity was a thorough-going prophetic movement, claiming a new outpouring of the Holy Spirit, withdrawn when prophecy ceased, the writings in which this interpretation was incorporated formed not just an appendix to the canon but a new body of Scriptures, which took its place alongside the old one, as its fulfillment, in the unfolding life of the church. Beckwith’s book may be the most compelling volume I have ever read. How Should the Books of the OT Be Ordered? English translations need to revisit the way that the books of the Old Testament are ordered. The only basis for the way that English translations order the books of the Old Testament is modern convention. The order we use today seems to have arisen with the printing press. There is no ancient precedent for the order of the Old Testament books we find in our English translations. 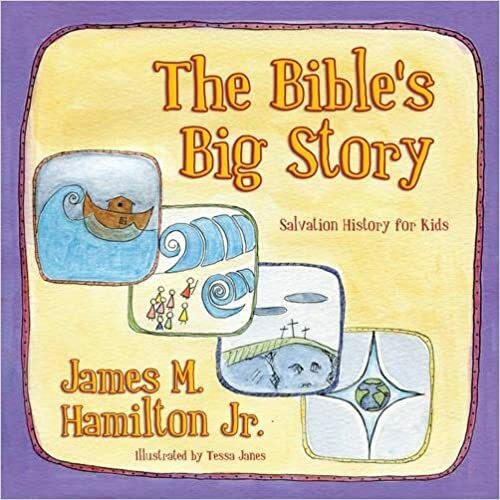 This statement indicates that when Jesus thought of the Old Testament, he thought of three groups of books. These three groups of books broadly match the ordering in printed Hebrew Bibles today: Torah (Law), Neviim (Prophets), and Ketuvim (Writings). This is the basis of the acronym TaNaK (Torah, Neviim, Ketuvim—a list of the books is here). Ancient evidence for this tripartite division of the OT is also found in the prologue to the apocryphal book Ecclesiasticus, in the text found among the Dead Sea Scrolls known as 4QMMT, and in the Babylonian Talmud’s Baba Bathra 14b. Another indication that Jesus thought of the OT in these terms is his statement in Matthew 23:34–36 paralleled in Luke 11:49–51. In these texts Jesus speaks of “the blood of all the prophets . . . from the blood of Abel to the blood of Zechariah . . .” This seems to be Jesus’ way of referring to all the martyrs in the OT, from start to finish. The murder of Abel is near the beginning in Genesis 4, and the murder of Zechariah is near the end in 2 Chronicles 24. Jesus’ statement only works, though, if Chronicles is near the end of the OT. In the tripartite division of the OT into Law, Prophets, and Writings, Chronicles is in the last section, the Writings. The order of the OT books used in modern English translations makes it difficult to understand what Jesus was talking about. So how did the order of the OT books in English translations come about? Roger Beckwith (The Old Testament Canon of the New Testament Church, 182) explains that once the early church lost contact with its Jewish roots (Origen and Jerome were rare among the early fathers in their ability to read Hebrew), the desire to arrange the books of the OT according to Alexandrian standards won the day. First, the order we find in English translations today doesn’t match the order we find in statements from the early church fathers. That is to say, there is no single “Christian” order of the books of the OT to be found in the writings of the early church fathers, so it is impossible to claim that modern publishers of the Bible are following Christian tradition that derives from the early church. The order given by Melito of Sardis differs from the order given by Origin, and different orders are given by Epiphanius, as is also the case with Jerome. There was not a uniform “Christian” order to the books of the OT until the rise of the printing press. The order of the books of the OT in Codex Vaticanus does not match the order of the books of the OT in Codex Sinaiticus. More evidence could be cited, but it’s all in Beckwith’s book. Here’s hoping that Beckwith’s book will continue to be widely read! So the first reason that we should adopt the tripartite division of the OT into Law, Prophets, and Writings over against a supposed “Christian” order of the books of the OT is that there is no “Christian” order of the books of the OT to be adopted. The second reason we should adopt the tripartite division of the books of the OT (Law, Prophets, and Writings) in English translations today as opposed to a (non-existent) “Christian” order of the books of the OT has to do with the way that the Reformers delimited the Old Testament canon. Put simply, at the Reformation, the Protestants excluded the Apocrypha from the OT because they followed the Hebrew tradition rather than the Septuagint tradition. That is, the Jews never considered the Apocrypha to be part of the OT, nor does the NT indicate that the Apocryphal books were ever regarded as canonical. Beckwith helpfully suggests that the appearance of various Apocryphal works in both Codex Sinaiticus and Codex Vaticanus reflects the reading habits of the early church rather than the canonical status of the Apocryphal books included (195). Still, some early church fathers regarded various Apocryphal books as belonging in the OT canon. In the same way that most Protestants today follow the Reformers in following Hebrew tradition and concluding that the Apocryphal books are not canonical, why should Protestant publishers of English translations of the Bible not follow the Hebrew tradition in the order of the books of the OT? Why should English translations of the Bible follow Hebrew tradition on the question of which books should be in the OT, but then refuse to follow Hebrew tradition on the question of how the books of the OT should be ordered? Again, we cannot claim that the order of the OT books in English translations today follows the order reflected in the Septuagint because (1) there is no uniform order in Septuagint manuscripts, and (2) Septuagint manuscripts include the Apocrypha. The final decisive reason, to my thinking, as to why English translations should order the books of the OT today according to the tripartite structure of Law, Prophets, and Writings has already been mentioned: this is the order Jesus knew and acknowledged. Luke 24:44 and Matthew 23:34–36 (paralleled in Luke 11:49–51) indicate that Jesus knew and accepted the order of Law, Prophets, and Writings. The fact that Matthew and Luke include these statements in their gospels with no explanatory comment indicates that they expected their audiences to be familiar with this order of the OT books. Thus, I would argue that the earliest church knew and accepted the order of the OT books acknowledged by Jesus, and only once the Jewish roots were cut did the church fathers begin to rearrange the books of the OT. All this to say: why shouldn’t followers of Jesus follow him in his understanding of the order of the books of the OT? Since it is the order acknowledged by Jesus, isn’t the tripartite division into Law, Prophets, and Writings the truly Christian order of the books? To summarize: We should accept the tripartite division of the OT into Law, Prophets, and Writings, and we should order English translations of the books of the OT accordingly because (1) the order in use by English translations now does not match the orders found in lists drawn up by early church fathers; (2) Protestants have agreed with Hebrew tradition rather than Septuagint tradition on which books should appear between the covers of the Bible, so Protestants should also agree with Hebrew tradition on how those books should be arranged; and (3) this is the order that Jesus endorsed and that Matthew and Luke expected their audiences to recognize. If you’ve read to this point, you may be asking the valid question, “What difference does the order of the books of the OT make?” Well, David Noel Freedman has put forward the argument that Ezra and Nehemiah collaborated on the canonization of the books of the OT, and he argues that Ezra and Nehemiah built a symmetry into the OT. In other words, they put the books of the OT into an intentional order that itself communicated their view regarding the overall message of the OT. I don’t agree with everything Freedman has asserted (see a two part interview with him: part 1 and part 2), but what if he is right about Ezra and Nehemiah arranging the books of the OT such that the very arrangement of the books themselves communicates a comprehensive understanding of the OT’s message? In my view, only inspired prophets would have been able to do what Freedman suggests Ezra and Nehemiah did. If he is right that they built an intentional structure into the arrangement of the OT books, should that arrangement be considered inspired? I doubt that question will be settled, but we can ask similar questions: if the arrangement was intended by Ezra and Nehemiah, doesn’t reorganizing the books make it harder for people to understand the OT’s over-arching message? And again, even if the arrangement is not inspired, by undoing that arrangement, doesn’t reorganizing the books of the OT not make it harder to see what Jesus was saying? I have a French translation of the Bible, La Bible en francais courant, that arranges the books of the OT according to the tripartite structure of Law, Prophets, and Writings. I would love to see an English translation of the Bible follow suit. This post originally appeared as a guest post at Moore to the Point. You can also get to the essay by clicking the cover of the book on the right hand side of the blog, or by going to the “Articles & Essays” page of this site. As Jesus said, the word of God is truth, and may God sanctify us in that truth (John 17:17). Michael F. Bird and Michael W. Pahl, eds. The Sacred Text: Excavating the Texts, Exploring the Interpretations, and Engaging the Theologies of the Christian Scriptures. Gorgias Précis Portfolios 7. Piscataway, N.J.: Gorgias, 2010. 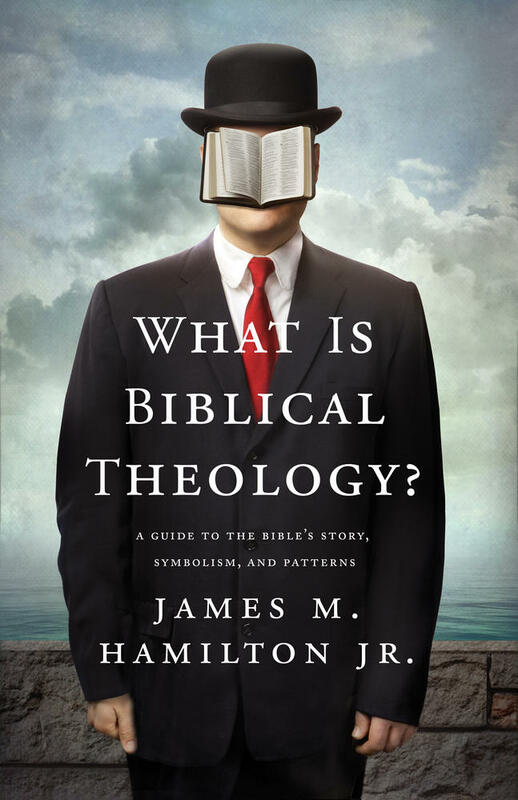 Still Sola Scriptura: An Evangelical Perspective on Scripture – James M. Hamilton Jr.